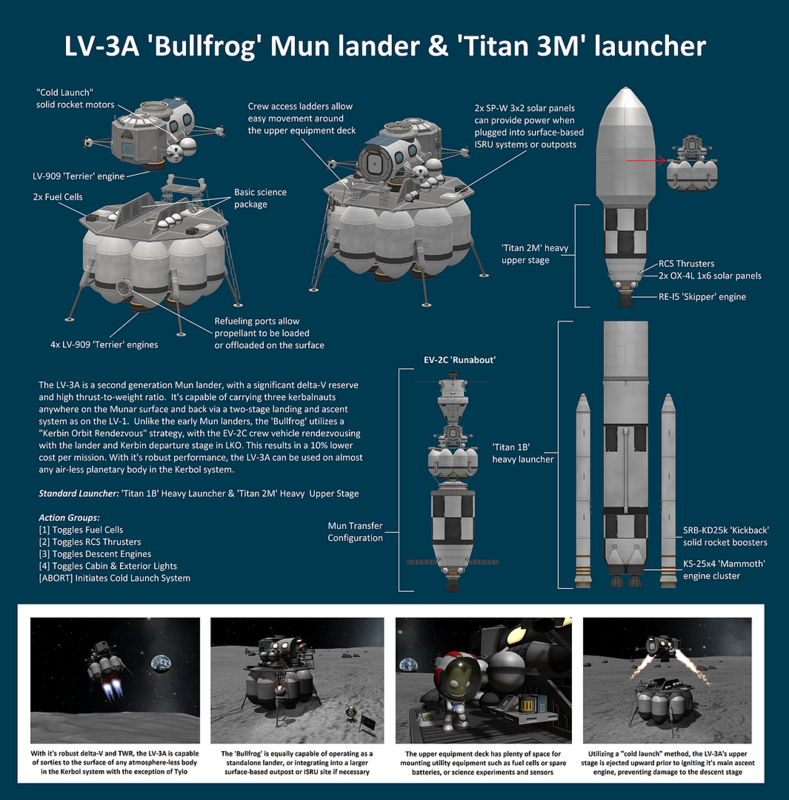 The LV-3A is a second generation Mun lander, with a significant delta-V reserve and high thrust-to-weight ratio. It’s capable of carrying three kerbalnauts anywhere on the Munar surface and back via a two-stage landing and ascent system as on the LV-1. Unlike the early Mun landers, the ‘Bullfrog’ utilizes a Kerbin Orbit Rendezvous strategy, with the EV-2C crew vehicle rendezvousing with the lander and Kerbin departure stage in LKO. This results in a 10% lower cost per mission. With it’s robust performance, the LV-3A can be used on almost any air-less planetary body in the Kerbol system.